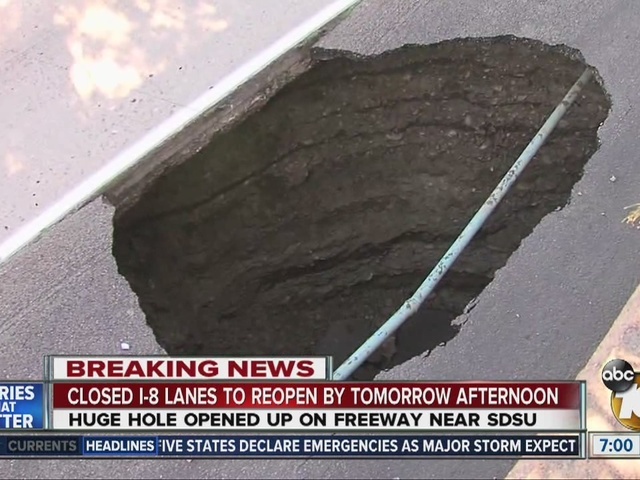 SAN DIEGO - Two lanes on eastbound Interstate 8 reopened Friday as crews completed repairs on a sinkhole big enough to swallow a midsize motor home in the southern shoulder of the freeway near San Diego State University. 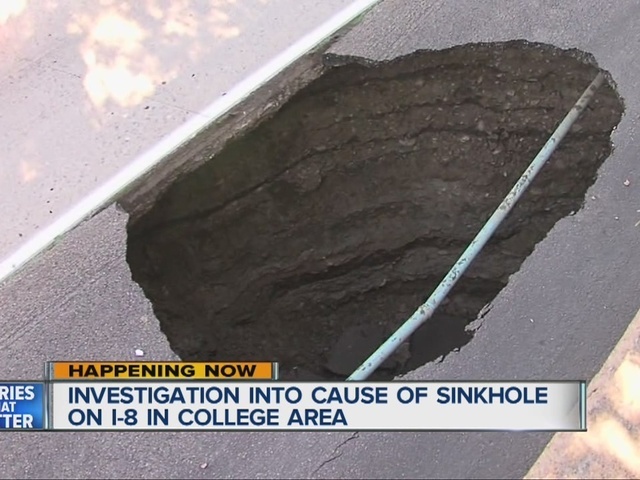 The crater that measured about 20 feet in width and depth and some 30 feet in length developed for unknown reasons on the roadside west of College Avenue about 10 a.m. Thursday, according to the California Highway Patrol and Caltrans. The erosion revealed an underground pipe that was part of a landscaping irrigation system until about 10 years ago, but it was unknown if the defunct water line had anything to do with the hole, according to Edward Cartagena of Caltrans. 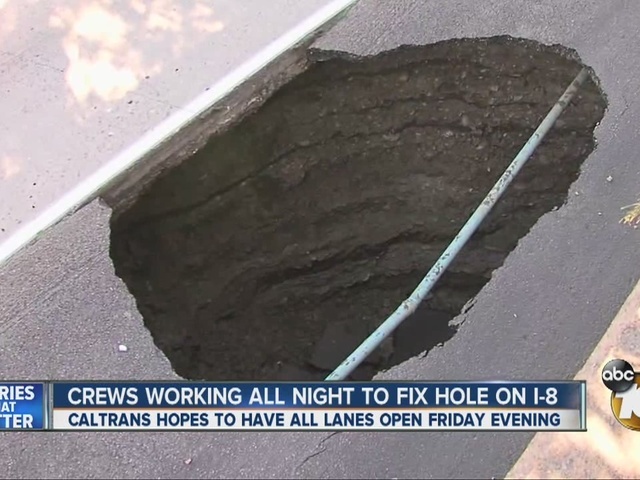 Three of the five eastbound lanes in the area were initially closed, but the farthest from the sinkhole was opened around midday Thursday. The closures backed up traffic past Interstate 15. The two eastbound lanes remained closed until about 4 a.m., according to the CHP and Caltrans.